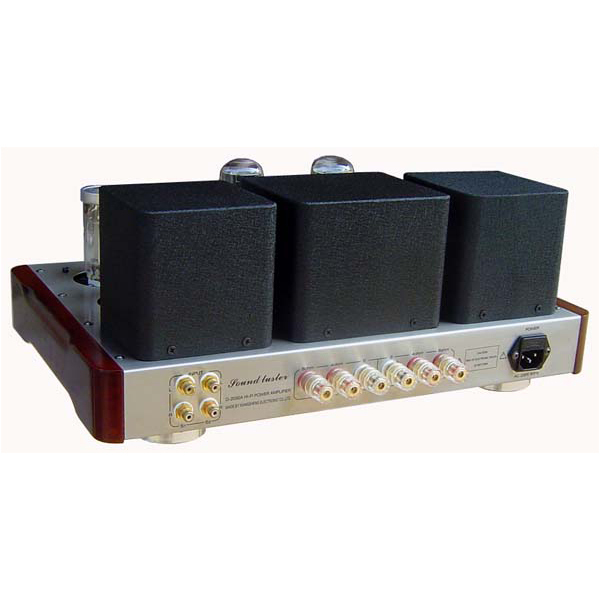 1.Since the class A amplifier operating point is selected on the line segment characteristic curve , so a relatively small nonlinear distortion , even harmonic content, but also very good sound effects , sound quality beautiful moist , sweet and pleasant , quite " multi- harp " rhyme sense . But lower efficiency, lower output power , high sensitivity requirements of the speakers . 2.In order to solve the low-power single-tube Class A output , with difficult issues, the amplifier output power tubes in parallel , reducing the output impedance , and enhance the driving force. 3.The machine uses an ancient handmade scaffolding welding process. 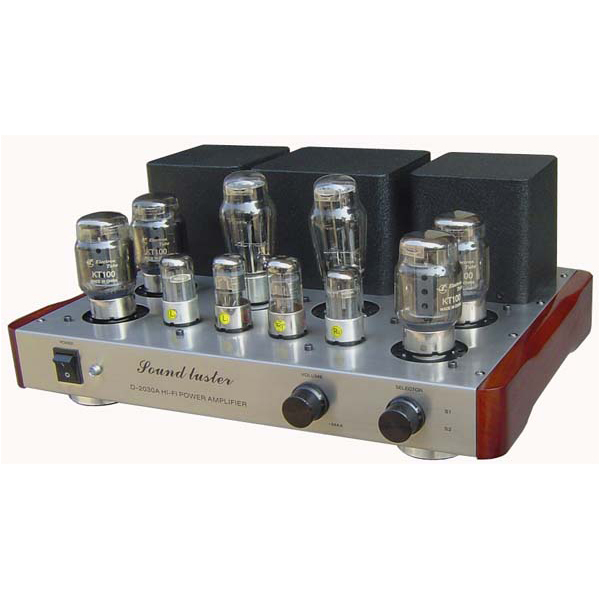 4.The first stage amplification using pentode 6J4P ( or 6J8P) for amplification, pentode tone sounds gorgeous , single-stage high gain, the native form of this pipe connected to the transistor amplification , further reducing distortion , making the sound more delicate. 5.The second stage to promote the use of twin dual triode 6N8P internal shunt promote , 6N8P maximum anode dissipation power up to about 6W, lower the parallel resistance , better driver .Rectifier with large current rectifier 5Z3P × 2 secondary rectification methods, making the CPI amplified by the large current supply better and more abundant. The 6J4P (or 6J8P) × 2 +6 N8P × 2 do enlarged push. High light metal knob, blue power light (Have warmed up latency instructions). Using 1.2mm brushed stainless steel cabinet. Adopt advanced wrinkle paint process enclosures. The output of high quality core hierarchical segmentation of transformer around the system, but also use the same core power transformer, production of high-purity oxygen-free copper wire. The volume of Japan or Taiwan W.L ALPS potentiometer. Weimar Germany WIMA red MKP capacitive coupling. high-grade gold-plated RCA signal terminal, Thick with anti-oxidation amber gold-plated terminal. Teflon silver plated shielded signal lines. 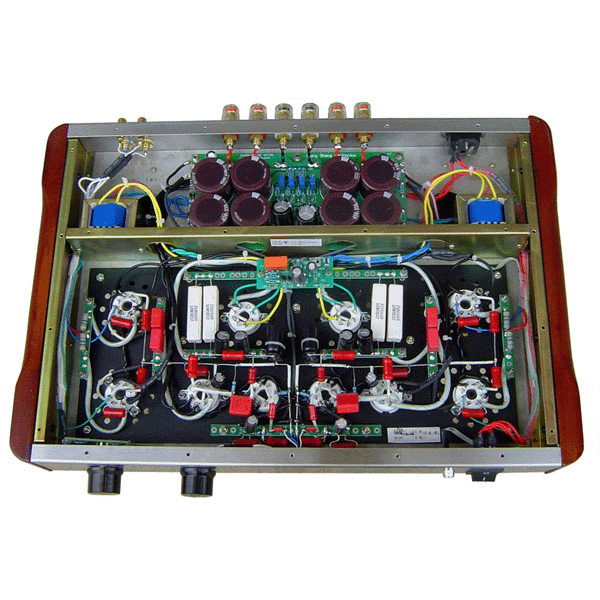 The four high-quality large capacitance. The three-plug power socket for easy replacement HIFI cord.